Spring is upon us, and that means that sweeping your sidewalks and clearing dead leaves from the gutter is going to happen. However, experts say that those who skip the spring cleaning rituals are more likely to see problems with their houses down the road, because of decay, rust, worn out grass and clogged gutters. Not only that, but cleaning up the inside of your house is helpful for feeling refreshed and ready to go for the new season. How is this in any way related to working with your mobile app? Well, as the year passes by, things are going to change. Your company may have new products, employees, promotions or media items. The beginning of spring is not so much a required time to check-in on the status of your mobile app, but a quality moment that automatically pops up every year. If you make it a point to refresh your mobile app right as spring rolls around, you’ll never really have to put a reminder on your calendar to get it done. Therefore, since spring has dawned, let’s take a look at some spring cleaning you can do to your mobile app for a rejuvenated season. Companies often choose color schemes to match their current branding strategies, but sometimes the colors in your logo and throughout your mobile app go by the wayside in terms of style. When users come to your app, they constantly see the same design over and over again. So, ask yourself if it’s time to adjust the color scheme, change around the logo or modify where your buttons are placed throughout the app. Some moderate changes are bound to grab attention and get people thinking that you have made some updates to the app. 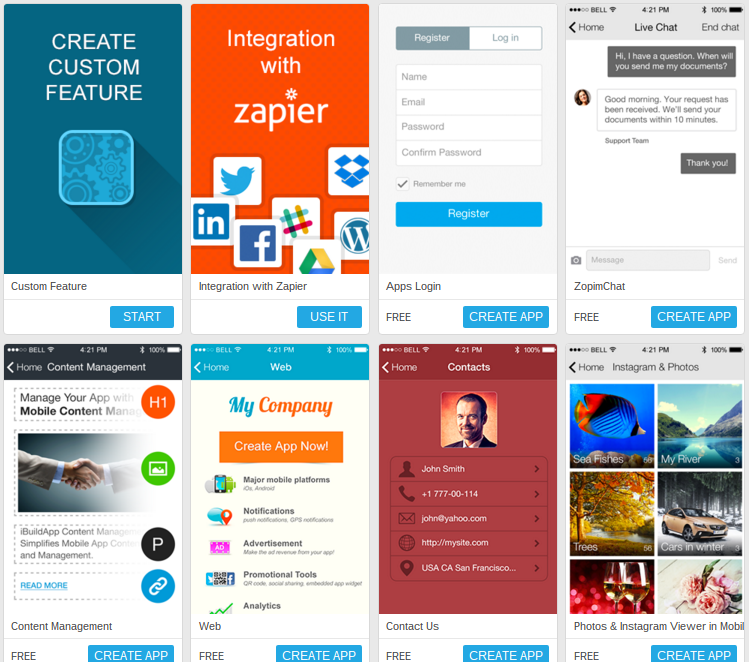 A mobile app is driven by the media placed onto it. 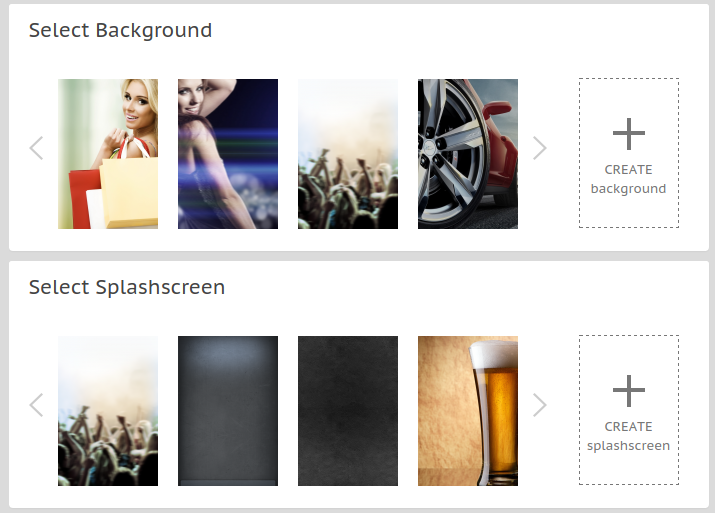 That’s why having the same background image or splash screen is going to get boring, fast. We recommend choosing new backgrounds and splash screens on a consistent basis, in order to add some variety to your app. More importantly, if you have media galleries in your app, some of the images and videos are probably outdated. Look into which of the items you have to update, and use this opportunity to send out a push notification to tell people that new media is available. 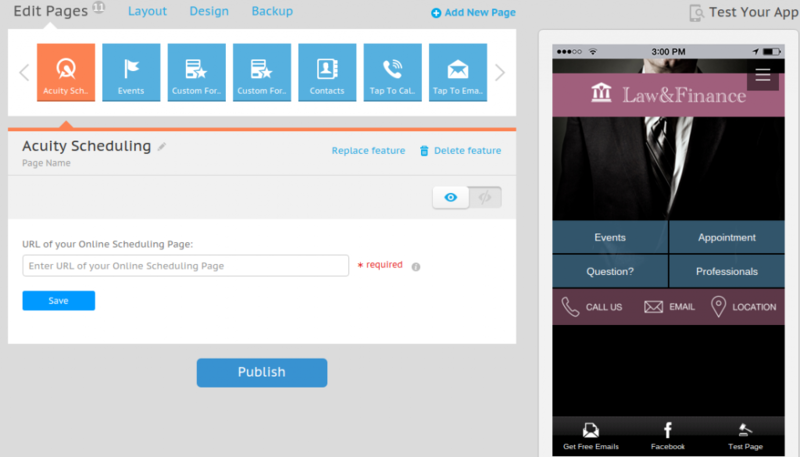 The iBuildApp team is constantly coming out with new features to make your mobile app a little better. We know you don’t constantly check-in to see which of the features may relate to you, so use the springtime to scan through the brand new features you may have missed over the past year. 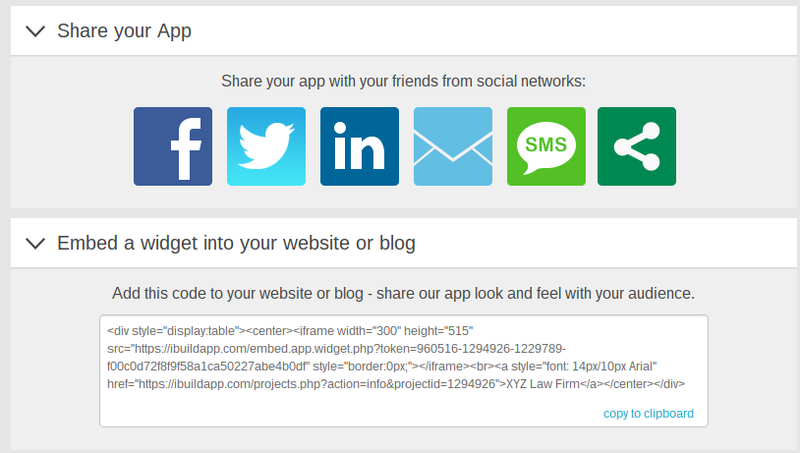 For example, did you know that you can now connect your mobile app to Zapier for making integrations with thousands of tools? Did you know that the Acuity scheduling tool works to keep you on task with your appointments coming up? Lots of buttons, links and pages are placed into your mobile app, so there’s a chance that a few of them became outdated, useless or broken over the course of the year. Bring up the app on your own smartphone and test out every single item you can press. From a Twitter feed to social media icons that lead to all of your social platforms, social features are key in the mobile world since so many users are opening up apps like Facebook and Twitter on their phones. When you integrate with social networks you open up the chance for customers to use your app as the social outlet, keeping your company in their minds at all times. Could your auto repair shop use a click to call button? Would it be nice if your restaurant could accept reservations through a mobile app? The goal with mobile features is to locate the ones that are bound to bring you more money, while cutting out the ones that just take up space. Maybe last year you didn’t have a Facebook page to promote your app. 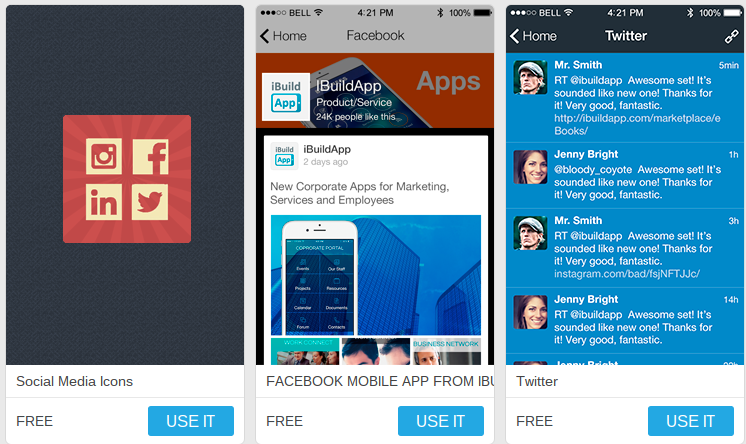 If you do now, go to the iBuildApp promotions page to send out a download page link. Companies eventually start embracing different types of marketing tools, so if you collected a decent amount of email addresses last year or accumulated a list of phone numbers, send out some messages to get users on your mobile app. That’s it! Good luck with your mobile app spring cleaning, and let us know in the comments section if you can think of any other tips for those looking to spruce up their mobile apps.